In 1897, a U.S. citizen living in Venezuela, George F. Underhill, brought a suit in a New York court to recover damages against the revolutionary Venezuelan General Hernandez, who had occupied part of the country and had effectively tried to nationalize his business. Damage was done, the American claimed, and he wanted to be made whole. The U.S. Supreme Court ultimately ruled against Underhill, in a decision that would enshrine the Act of State Doctrine as a general rule of thumb for modern Western legal systems. “Every sovereign State is bound to respect the independence of every other sovereign State, and the courts of one country will not sit in judgment on the acts of the government of another done within its own territory,” U.S. Chief Justice Melville Fuller then wrote. Later this month, the Supreme Court of Canada will hear Nevsun Resources v Gize Yebeyo Araya, a case that will put the Act of State Doctrine to its first test in a Canadian court. The case will serve to gauge the extent to which international human rights law has a footing in the Canadian legal system. To read Nevsun Resources’ profile of its Bisha mine, nothing sounds amiss at all. The mine is located in the middle of Eritrea, on Africa’s northeast coast. A joint project between Nevsun and the government of Eritrea, it extracts copper, zinc, gold, and silver. 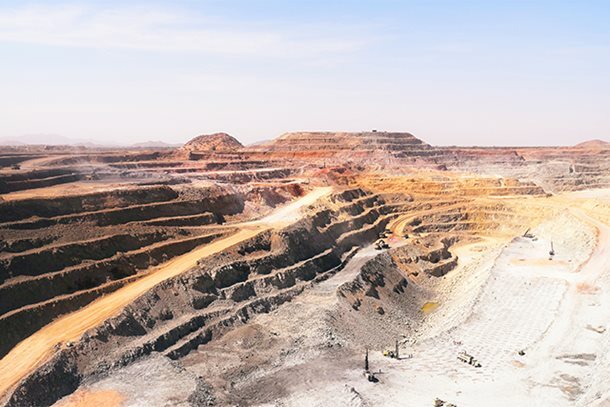 “The government of Eritrea continues to show its strong support to the development of mining as an important sector of its national economy,” Nevsun’s website reads. It reports that the country is a “single party state,” without mentioning that Eritrea is one of the most repressive states in the world. The three litigants bringing the case before the Supreme Court are refugees from Eritrea — two currently living in the United States, and one a permanent resident of Canada. Those claims have not been proven in court. In light of the alleged abuses visited on its workers, the three refugees sought to bring a claim against Nevsun in a B.C. court. Their factum lays out their argument that Nevsun was complicit in “assault, battery, conversion, unlawful confinement, and negligence.” Those are, they note, existing torts in Canadian common law. And this is where the argument gets interesting. The claim is seeking to enter in an array of other claims, based in customary international law. They’re alleging not just that Nevsun is guilty of allowing forced labour, slavery, crimes against humanity, and cruel, inhuman, or degrading treatment, but that such actions are actionable in Canadian courts. François Larocque is a law professor at the University of Ottawa and serves as counsel with Power Law and has written the book — in fact, several books — on how international human rights can be incorporated into Canadian law. He is also serving as co-counsel for Amnesty International, who has been granted leave to intervene on the Nevsun case. “There is a definitely a tort here,” he argues. The real question, he says, is whether this case, should it be allowed to proceed, should rest only on “garden-variety torts,” or whether it can enter in these new torts rooted in international law. Nevsun sought to have the case dismissed at its first stage. The company countered that the Act of State Doctrine protects it from such claims; that the torts based in customary international law could not be litigated; that Canadian courts were not the appropriate forum; and that the suit could not be considered a representative action. At trial, Nevsun failed in its effort to have the case dismissed either on the basis of the Act of State Doctrine or on the basis that the torts being alleged couldn’t be entered into Canadian common law. The British Columbia Court of Appeal also rejected Nevsun’s appeal to dismiss the suit. Nevsun’s claim of forum non conveniens was rejected by both courts and isn’t being appealed to the top court. The respondents abandoned their claim that the suit is a representative action and have instead added 80 plaintiffs, over 10 separate actions. And non-intervention is the best policy here, Nevsun says. At the Supreme Court of British Columbia, that application of the doctrine was labelled as “draconian” by the presiding justice. What’s more, as the respondents point out, the United Kingdom and Australia have already limited the doctrine in almost precisely the manner that is being requested here. Should the Supreme Court take the same view, limiting the application of the Act of State Doctrine, the conclusion would be that torts based in customary international human rights law can be tried in Canadian courts. This would represent a significant shift in the law, especially for the mining companies that call Canada home. The outcome of two other cases before the courts could be affected, depending on how the court finds in Nevsun — one against Tahoe Resources, and another against Hudbay Resources. Should the respondents carry the day, it will represent one of the first times that a case of this nature will actually proceed to the merits. “It would be important because it could potentially eliminate some of the obstacles in bringing some of these cases to Canada,” Simons says. Simons pushes back on this reasoning. “Not all cases of corporate misdemeanour can be turned into civil suits,” she told CBA National. “You’re not going to have the facts for some of these types of cases.” Never mind that the prohibitive cost of bringing these cases forward before they can even be argued on the merits. Also, limiting the scope of the Act of State Doctrine and entering those torts into the common law doesn’t necessarily mean a flood of cases are on the way. “There are legal obstacles, but there are also practical obstacles,” Simons says. Ultimately, what the court says, and how it says it, is going to mean a lot for Canadian-based companies operating abroad. If the court allows the case to proceed on its merits, virtually every Canadian company carrying on business in states with poor human rights records may have to significantly reassess their liability. “The radar is already blinking,” Baum says. “Now it’s a matter of waiting for how the court is going to pronounce itself, so companies can have a better sense on how to react to this.” He emphasizes that it’s not a matter of will companies react to the decision, it’s how. Even if the litigants lose, companies will need to start preparing. Short of the court writing a unanimous decision endorsing the Act of State Doctrine — an unlikely scenario —the courts appear to be leaning towards some integration of international human rights law into Canadian common law. Liability will drive companies to draft guidelines, policies, and procedures to minimize that risk, Baum expects. But could also dictate how, and where, companies pursue new ventures.